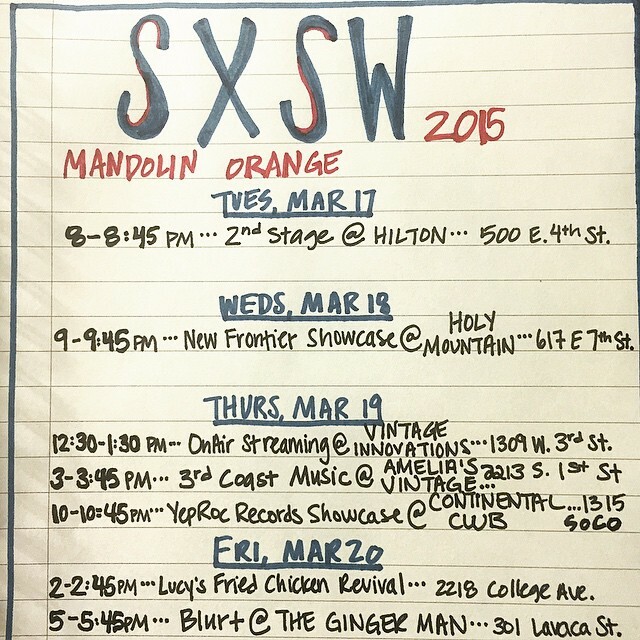 We return to SXSW in Austin this week! We have official showcases on Wednesday and Thursday nights, and lots of unofficial stuff during the days. Check out the photo below for the full schedule. If live music isn't your thing, you will probably find us in a sports bar between showcases cheering hard in true March Madness fashion! Tickets on sale today for Such Jubilee release tour!